The weekend is almost here, and I am so ready to have Conor home for a couple of days. Liam became so accustomed to having him home all day during our two week vacation, and I can tell he has really missed him this week. He's been going through a little roll call throughout the day wondering where everyone is. I plan on putting away the remainder of our Christmas decorations and adding a little Valentine's Day flair to the house. Which really means buying bags & bags of conversation heart to put in my heart shaped candy dish. Except I can't keep the dish out or Liam will want to eat all the "mummies", so instead that little candy dish will be hidden away somewhere. I'll be that mom making quick trips to the pantry/bathroom/closet and popping candy in her mouth! I haven't done on Five on Friday post for awhile, so I'm excited to share some random goodness as always. Here's my weekly Five (thanks to all the lovely hosts: Christina, Darci, April, & Natasha)! With Valentine's Day just over a month away, I decided to make my desktop wallpaper a little bit festive. These freebies were my favorite! It was hard to choose, but I went with the light pink & single heart. I am loving this pale shade of pink right now. I need a nail polish in this color stat! 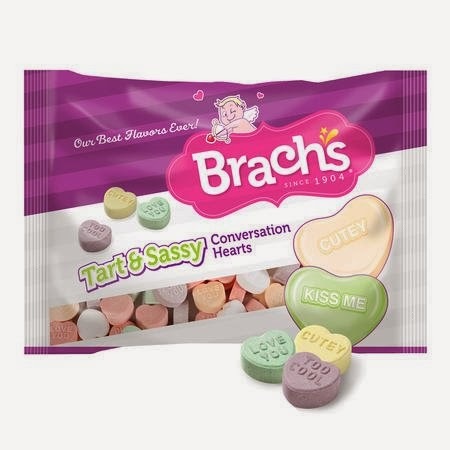 And since we're talking about Valentine's Day, you all must rush to your local grocery store and purchase a bag of Brach's Tart & Sassy conversation hearts! They are the best; there's no competition. These are not to be confused with the Sweethearts "tart" version, because those are absolute garbage! -THREE- I have a big thing for chapstick and love finding new ones to try. 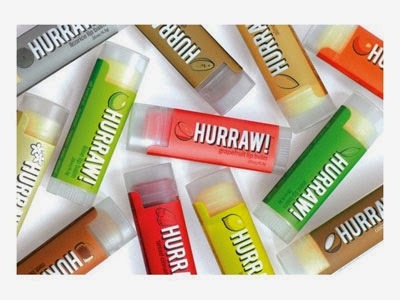 My sister-in-law turned me onto the Hurraw brand. One of the main ingredients is coconut oil, so this stuff is just heavenly! I want one in every different flavor!!! They are a small Montana business, so I love supporting them! -FIVE- During our Christmas vacation my mom made huckleberry pancakes a couple of times, and I just cannot get their scrumptiousness out of my head! It's probably due to the fact that huckleberries are hard to come by (only in the northwest and few places in Maine...or so I hear) and they are most definitely not in season right now. My mom always freezes a gallon or two during the summer months so we can enjoy huckleberries all winter long. Huckleberries are by far my favorite berry and combined with the best pancake mix ever, these were a big treat in the morning! Those pancakes look delicious! And I think I will be getting a new background for my computer now... So cute! 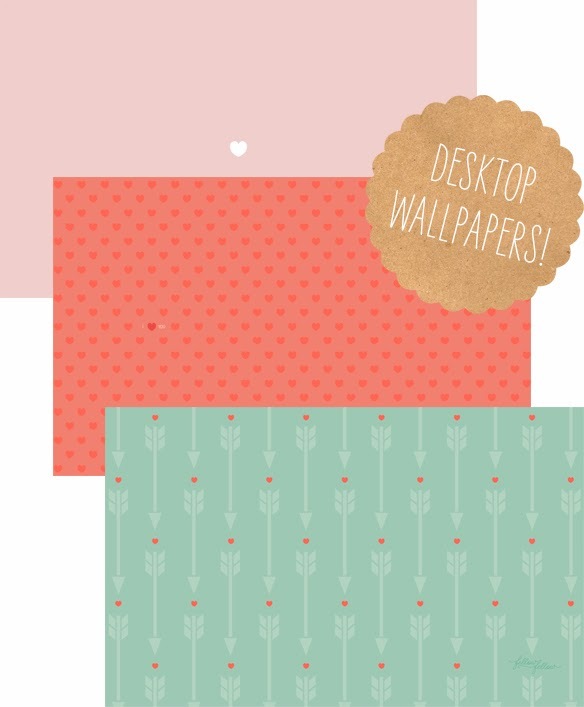 I love those desktops! I might have to switch mine up for Valentines day, and those pancakes look so good! I love a new background! Maybe by Easter I will have figured out how to design my own! Welcome to our little world; happy to have you! Hello! Stopping by from the link up:) those pancakes look too good and what a fun DIY project! I just love your blog...your little man is precious! Have a wonderful Friday! For some reason I never clued in that this 'Five on Friday' was a link up! I think I might just join in next Friday! 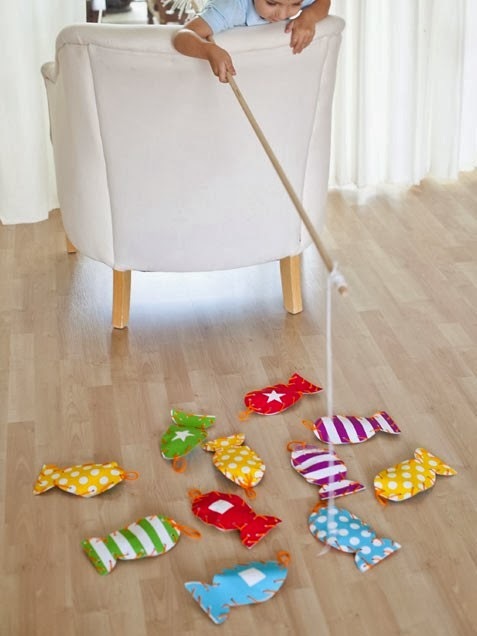 - By the way, totally stealing that fishing idea!! It will either be great or Abby will run around and hit the cat with the stick. We shall see!!! Happy Friday! !